Please select an option 99j wine red Burg#fashionable wine red Light pink# light pink Light purple# cool purple Lilac# baby purple Mint# mint Peach pink# peach Pink# pink Purple# purple Red# red Rose pink# rose red Sea blue# sea blue White# white M24/613# F27/60# F27/613# 30# 33# 60# 60/613# 613# Please select a color. QTY 123456789101112131415161718192021222324252627282930313233343536373839404142434445464748495051525354555657585960616263 Please select a quantity. Excellent quality, to provide you with a hundred percent of the hair, female fashion, exclusive magic. Suitable for every face every day, travel, holiday, PARTY and other can attend the occasion. 1.Detangle hair gently before washing, do not rub or twist hair. 2.Add mild shampoo to cool water and wash hair till clean, rinse hair thoroughly. 3.Blot out excessive water with towel and allow hair dry naturally. 4.Comb curly hair gently with your fingers, do not use brush. 5.Brush straight hair always from bottom first then work your way up to roots. 6.When removing hair, please consult the professional hair dresser. 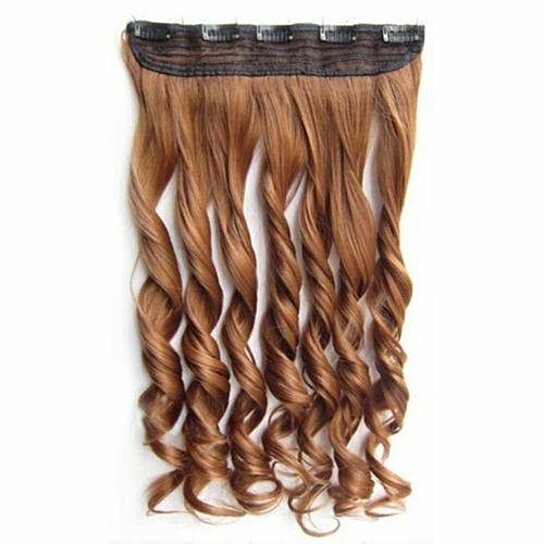 Best quality, less shiny synthetic fiber, seems same as real human hair.